Calling all sporty girls! 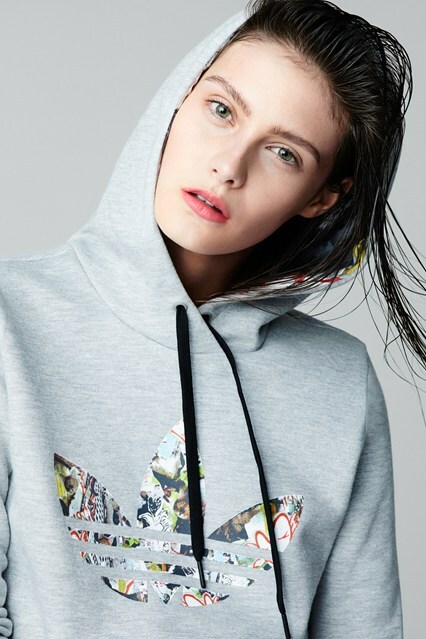 March 2014 marks the launch of a brand new collaboration between Topshop and Adidas Originals. The 20-piece collection, called Topshop X Adidas Originals, sees the retailer giving the sports brand’s designs a fashionable twist. Styles in the collection include tailored, slim fitting three-stripe tracksuit bottoms along with cotton vests with scoop arm holes, and sweatshirts adorned with a print inspired by London landmarks, created by Topshop’s designers. Footwear also gets a make-over with adidas Originals’ Superstar, Tech Super and Attitude silhouettes reworked in brand new leather and print combinations. The collection will infuse sportswear with femininity, and can be worn for both fashion and performance. Prices start from £25 for a vest and rise to £90 for trainers. For those of you who are loving the recent sports luxe trend, I’m sure you’ll be huge fans of this range!